On the way back to Montenegro from the airport at Čilipi on the 13th April, I stopped below the village of Komaji where what looks like part of an old railway track runs along the hillside. I think this was built between Dubrovnik and Herceg Novi in the early 20th Century when all belonged to Croatia and the Hapsburgs. 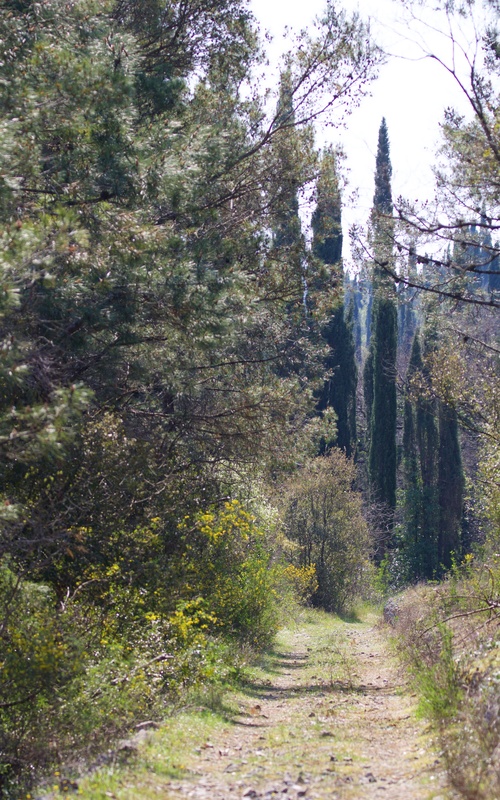 The old railway track running through maquis with Italian cypress (Cupressus sempervirens). I thought that, on this hot Spring day, snakes may be out. I was not disappointed; a fat adder (Vipera berus) snaked quickly into the stone wall within the first few metres of the track. Further along, a glass lizard (Ophisaurus apodus) shot off into the bushes on my approach. A far different animal to the sluggish ones that I found in the cold of early March. 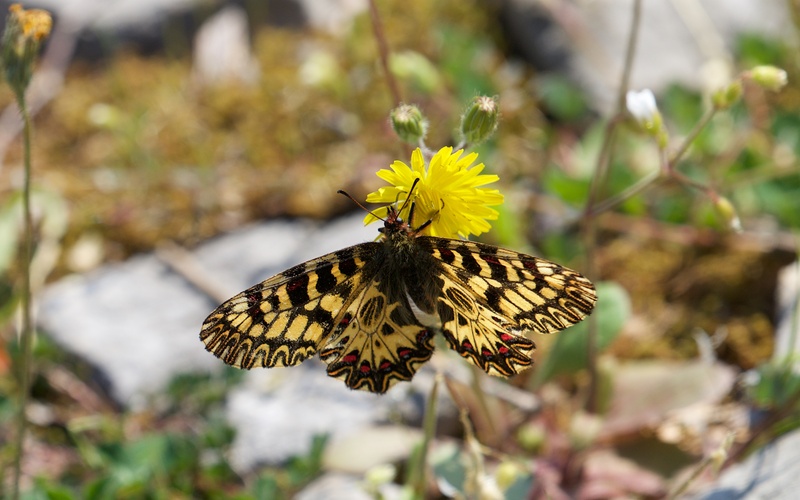 The highlight though was a freshly emerged Southern Festoon (Zerynthia polyxena), with its modern zig-zag designs; the butterfly moved low from hawkweed (Hieracium sp.) to hawkweed and was very approachable. The larval food plants are Birthwort or Aristolochia species but I could not find any. 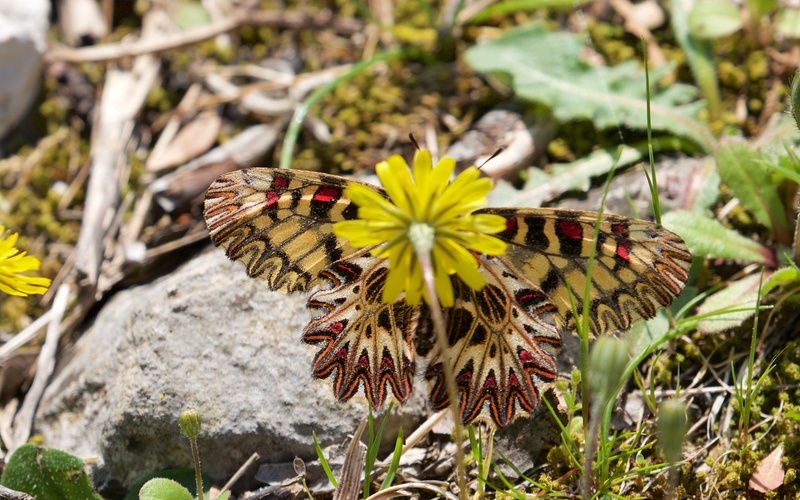 These are as outrageous in their design as the butterfly, and full of an acid that causes human renal failure but which the caterpillar and then the adult uses to protect itself. The early spider orchids were looking tired but a single green-winged orchid (Anacamptis morio), pretty Arabis verna, buttercups and trefoils were all in full bloom. 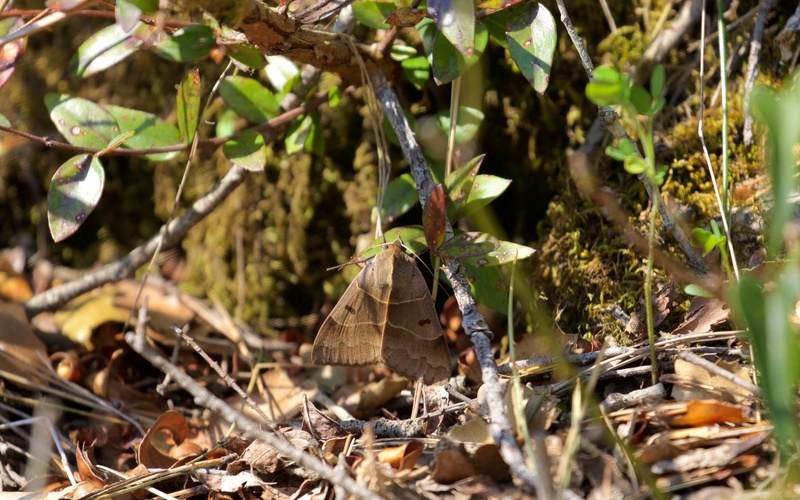 I disturbed a large brown moth and it flew a short distance before settling, hoping that its beautiful camouflage would work. Perhaps a less effective strategy than the bold butterfly? 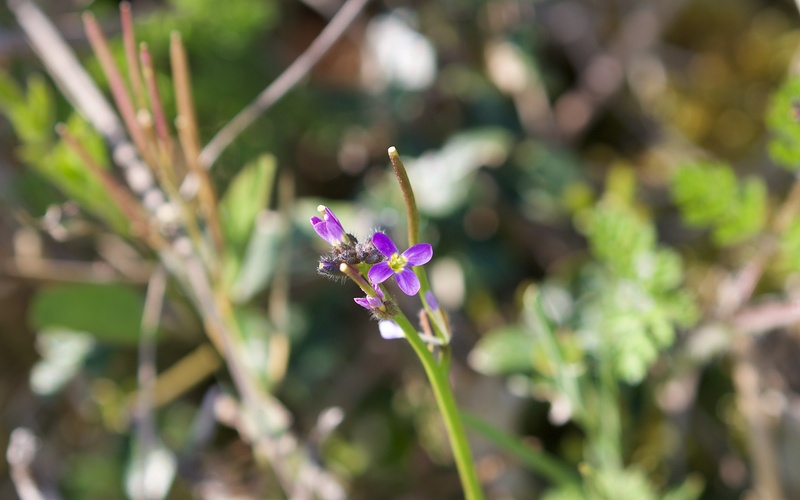 Arabis verna and brown moth species.